The 150th running of the historic Belmont Stakes is taking place this Saturday, June 9, 2018, at Belmont Park located in New York City in Elmont, New York. 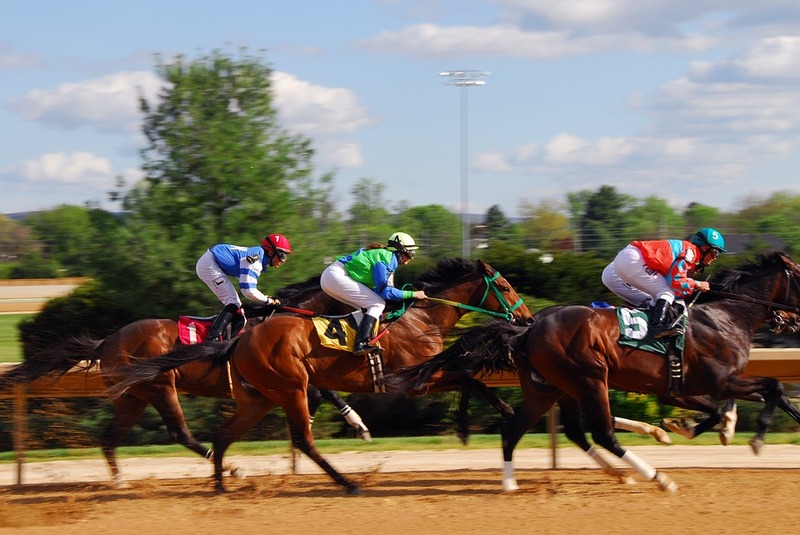 The Belmont is the third and last leg of horse racing's famous Triple Crown. Post time is 6:37 pm and the race is on NBC as Justify tries to win the Triple Crown. Here are a few suggestions for ways to bet on the Belmont Stakes this Saturday that could make you rich. The Belmont is a horse race and betting on a horse race is gambling and the outcome of any gamble is unsure so bet only money you can afford to lose. The key to trying to get rich betting on the Belmont is to bet a little money and try to win a huge payoff for that little money bet. Luckily for bettors the Belmont offers wagers where you can get rich for just a few dollars bet as outlined below. Can Justify win the Belmont and the Triple Crown in 2018? If he falters a lot of high priced horses could win the Belmont and create some enormous payouts. The best way to try and get rich betting on the 2018 Belmont is to try and hit the superfecta. To win the superfecta you have to have all four of the top finishers in the race in exact order. Not an easy bet to win but if you do win the superfecta it could certainly make you rich. The average payout of the superfecta bet for the Belmont Stakes is a whopping $26,100. Over the last 15 running's of the Belmont the winning superfecta has paid over $10,000 for each winning $2 bet 10 times. That means 2/3 of the time the Belmont superfecta paid over $10,000 for each winning $2 bet. That is a remarkable return on your money if you can win the bet and the winning ticket includes a few longshots. In 2002, the Belmont superfecta paid a record $145,344.00 for each winning $2 ticket. The superfecta bet offers you the best way to make a lot of money from very small wagers in 2018. If you don't know who to bet why not try a combination of numbers from your life including birthdays. If you were born in 1975, you can bet a 1-9-7-5 superfecta. Who knows? It could be your lucky day. Again, the superfecta bet has paid over $10,000 for each winning $2 ticket over 2/3 of the time in the Belmont since 2002 and the bet has averaged a whopping $26,100 payout overall. It's the best way to win a lot of money making small bets for the 2018 Belmont if you can win the bet. Since the trifecta bet was first introduced at the Belmont in 1986, the bet has paid over $1,000 for a $2 winning bet 13 times. Why not take a shot at hitting the Belmont trifecta this year? You can see the highest paying trifectas at Highest Paying Trifecta Payouts in Belmont Stakes Horse Racing Histoy. If Justify is not up to running the 1 1/2 mile distance of the Belmont any of the longshot runners in the race could win. If that is the case you could make some good money if you have the winner. In 2008, this author bet $10 to win on a longshot horse named Da'Tara who won the Belmont and paid $79.00 for each winning $2 bet. So the author won $379.00 for his $10 bet. A handsome return for not a big wager. In 2002, a horse named Sarava won the Belmont and paid a record $142.50 for each winning $2 ticket. There is no guarantee that a longshot will win the 2018 Belmont but if one does it could make you a nice sum of money if you have the winner. Good luck to all the bettors in the Belmont Stakes this Saturday!